Keeping these tips in mind can keep your back pain-free. Wisconsin weather can keep us on our toes, particularly when it comes to the winter to spring transition. 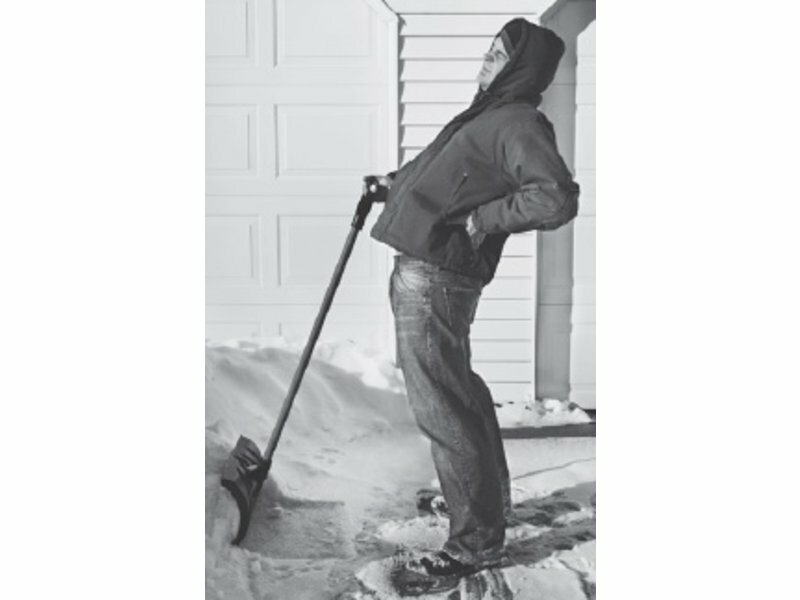 It goes without saying that many of the thoracic injuries we see after a big snow is often due to muscular strain while shoveling. The good news though is that lower back and shoulder pain can be easily prevented when you use correct body mechanics. Try these tips to keep your back pain-free. An ergonomic snow shovel will help take the stress off your back and make your snow shoveling a much easier task. A shovel that has an adjustable handle will minimize your need to bend. Avoid keeping your knees straight and arching your back, which can cause unnecessary stress on your lower back. You are more prone to injury when your muscles are cold and tight. Warmed up, flexible muscles help ease your way into any strenuous task. Begin with a quickly paced walk for five to 10 minutes before shoveling snow to warm up your muscles. Other warm-up activities include marching in place and gentle stretching, which will help get your blood pumping. Warm up your arms and shoulders with a set of 10 shoulder rolls. These are performed by gently rolling your shoulders up, back and forward again. Face the pile of snow you intend to lift. Keep your body square toward the snow you’re above to pick up with the shovel. Bend your knees and hips so you’re not relying on your lower back to do all the work. Lift with your leg muscles and keep your back straight to avoid stress on the muscles supporting your spine. Keep each load of snow you’re lifting light. When lifting a shovel full of snow, grip the shovel with one hand close to the blade and keep the other hand on the handle. Avoid twisting your back when you’re moving the snow. Keep your nose over your toes and pivot your body together to face the new direction in which you’re moving. Keep the load of snow close to your body. Do not reach out to throw the snow to a new location. Walk to the new location to deposit the load of snow rather than reaching or twisting your back to toss it. Shovel small amounts of snow and take breaks rather than shoveling a large pile at one time. Removing snow over a period of time will reduce the stress on your lower back and help prevent straining your arms. If the snow is deep, remove only a few inches off the top at a time instead of trying to shovel the full depth at one time. Don’t forget totake breaks every few minutes to avoid overexertion. Use your break time to your advantage; take time to stretch out your arms and shoulders to prepare for the next load of snow. Keeping these tips and techniques in mind can help eliminate shoveling injuries. However, if you do happen to injure yourself, we’re here for you. Click here to book a session with one of our experienced therapists.